“Part I, œEnvision the Possibilities, introduces you to the changes in Office 2010 and shows you how you can make the most of the new features to fit the way you work today. 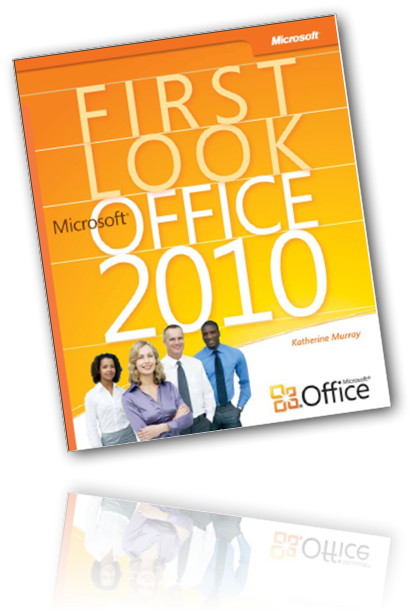 Chapter 1, œWelcome to Office 2010, gives you a play-by-play introduction to new features; Chapter 2, œExpress Yourself Effectively and Efficiently, details the great feature enhancements and visual effects throughout the applications; and Chapter 3, œWork Anywhere with Office 2010, explores the flexibility factor by presenting a set of scenarios that enable users to complete their work no matter where their path takes them. Part II, œHit the Ground Running, focuses on each of the Office 2010 applications in turn, spotlighting the key new features and showing how they relate to the whole. These chapters provide a how-to guide for many of the top features you™re likely to use right off the bat, and they offer inspiring ideas on how to get the most from your favorite applications. This Article Has Been Shared 4458 Times! A reference guide highlighting the new and improved features in Windows 7. This ebook,Windows Command Reference; describes the use of the command-line tools used to perform various tasks related to Windows Server 2008 R2, Windows Server 2008, Windows Server 2003, Windows 7, and Windows Vista. Cite this article as: Abhishek Ghosh, "First Look Microsoft Office 2010," in The Customize Windows, October 21, 2010, April 25, 2019, https://thecustomizewindows.com/2010/10/first-look-microsoft-office-2010/.